Or had a single fight. Or loudly cursed my fate. I’m getting out of bed. 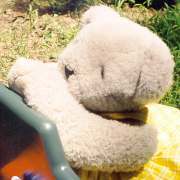 Theodore and Tilly-Bear is a trademark of and are based on original characters created by Lance Micklus of Essex Juncstion, Vermont.